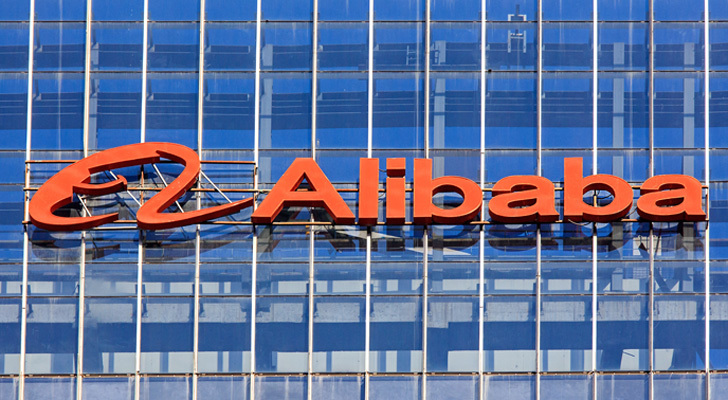 Since March 20, Alibaba Group Holding Ltd (NYSE:BABA) has lost about 10% of its value, falling from a high of nearly $199 per share to a low on April 13 of $172. BABA stock opened for trade Wednesday at about $178. Some analysts now feel the stock, with a market cap of $457 billion, is destined to be a laggard. In fact, it is investing for growth even more aggressively than Amazon.com, Inc. (NASDAQ:AMZN), going well beyond its China and e-commerce base. The company next reports earnings May 5, with a profit of 71 cents per share expected on revenue of $9.08 billion. Alibaba is still puny next to Amazon, which is expecting $50.15 billion in revenue when it reports April 26, but its market cap is growing nearly as fast, up 61% in the last 12 months against Amazon’s 67%. Here’s why Alibaba’s best days are ahead of it. Alibaba is now the third-largest provider of public cloud, behind only Amazon and Microsoft Corp. (NASDAQ:MSFT), and ahead of Alphabet Inc (NASDAQ:GOOGL)(NASDAQ:GOOG). It is focused on locally-hosted services, and now has 12 data centers across Asia, with two coming to Europe this year. Alibaba is looking to buy into Grab, which has pushed Uber out of Southeast Asia, and put $4 billion into Lazada, the Singapore-based e-commerce site. Alibaba is building a Chinese booking site for Marriott Corp. (NASDAQ:MAR) which could, in time, make it a direct competitor to Booking Holdings Inc (NASDAQ:BKNG) and Expedia Group Inc (NASDAQ:EXPE). Alibaba is losing billions in the movie business but keeps on investing. It keeps buying delivery service providers to go along with its physical malls. It’s backing an AI-based security outfit and its Ant Financial Group is raising capital at valuations of $100-150 billion. While American analysts call Amazon a monopolist, Alibaba is acting like a competitor pressed on all sides. And it is getting pushed all around Asia, by JD.Com Inc(ADR) (NASDAQ:JD) and Tencent Holding/ADR (OTCMKTS:TCEHY). It also faces start-ups within its home market with billions of funding and new ideas, like integrating a Groupon Inc (NASDAQ:GRPN) experience with the chat services of a Twitter Inc. (NYSE:TWTR). It’s competition that makes Alibaba special. While many U.S. analysts seem to see competition as bad, and seek a “moat” against competitors, Alibaba and its Chinese competitors are still scrapping for every niche and dollar they can find. A loyalty club for big spenders? Why, yes! Driverless cars? Bah, how about an entire driverless car ecosystem! Alibaba is, in short, young, scrappy and hungry. It acts like a startup, not like a giant. It’s nimble and has an open checkbook. Some of its bets are going to be losers. In some niches, it is going to lose to rivals. But it has so many bets, and so many winners, that it is as far removed today from its original niche of linking small manufacturers to urban customers as Amazon is from being a bookseller. The recent fall in Alibaba shares mean I’m just short of doubling my investment in the company, which I began in November 2016 and announced here. I don’t worry about a bad quarterly report. I call that a buying opportunity. And I don’t worry about the Chinese government. I’m too busy worrying about our own. If you like growth, you buy Alibaba. If you like a little profit with your growth, you buy Alibaba. If you like aggressive management, buy Alibaba. I can’t make my feelings any clearer than that. Dana Blankenhorn is a financial and technology journalist. He is the author of the historical mystery romance The Reluctant Detective Travels in Time, available now at the Amazon Kindle store. Write him at [email protected] or follow him on Twitter at @danablankenhorn. As of this writing he owned shares in BABA, AMZN, and MSFT. Article printed from InvestorPlace Media, https://investorplace.com/2018/04/alibaba-group-holding-ltd-baba-stock-breaking-out/.